Buy More and Save!Save $0.25 each when you buy 3 or more (mix flavors, too)! 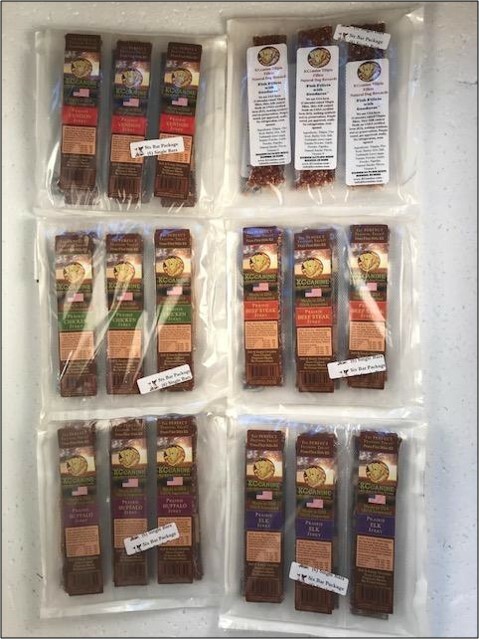 KCCanine Jerky bars are protein-dense and made entirely on a USDA-certified farm in Kansas in the heart of the Midwest. They're a super soft, tasty treat in the shape of a bar that can be broken down into small training treat pieces. Your dog will think these treats are excellent and you can use them for training, sporting, working & competition dogs. They're also portable - making them perfect for traveling, camping, hiking and biking. Each package is cryo-vacuum-packed by hand for freshness in human-grade packaging. 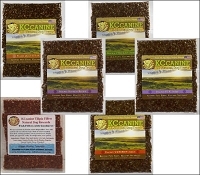 KCCanine uses only muscle protein, which is slow-cooked 8 hours on low heat in small batches of 200. Treats are shelf stable for 24 months and can be frozen. All meats are obtained from USDA-inspected farms (local, if available), and all ingredients are human-grade and USDA approved.